Welcome to Day 1042 of our Wisdom-Trek, and thank you for joining me. Hello, my friend, I am Guthrie Chamberlain, your captain on our journey to increase Wisdom and Create a Living Legacy. Thank you for joining us today as we explore wisdom on our 2nd millennium of podcasts. 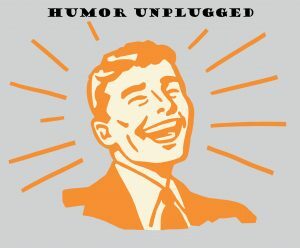 This is Day 1042 of our trek, and it is time for our 3-minute mini-trek called Humor Unplugged. Our Thursday podcast will provide a short and clean funny story to help you lighten up and live a rich and satisfying life – something to cheer you and provide a bit a levity in your life. Sam apologized for the noise and asked if there was anything he could do. 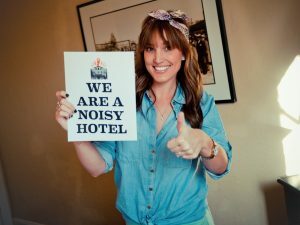 Jim replied gruffly, “No, but the next time, I want a different room.” Sam assured him that he would give him a special room the next time and finished checking Jim out of the hotel. A few minutes later, a young couple showed up at the front desk to check out, looking very tired. Being concerned because of Jim’s experience, Sam asked how their stay was. I hope that brought a smile to your face for today…If so, pass that smile on to someone else. Our Thursday Thought is always be considerate of others, we only see things from our own perspective. Just as you enjoy these nuggets of humor, please encourage your friends and family to join us and then come along tomorrow for another day of our Wisdom-Trek, Creating a Legacy. 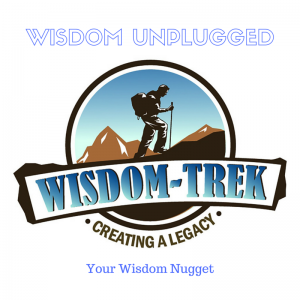 If you would like to listen to any of our past 1041 treks or read the Wisdom Journal, they are all available at Wisdom-Trek.com. I encourage you to subscribe to Wisdom-Trek on your favorite podcast player so each day will be downloaded to you automatically.